This is a warning for those who regularly consume drugs painkillers. Recent research indicates experts in Canada, the consumption of painkillers on a daily basis and in high doses may increase the risk of heart attack and stroke by 40 percent. According to the researchers, patients who regularly consume diclofenac (a pain killer and anti-inflammatory), heart problems, two-fifths higher. Meanwhile, the use of painkilling drugs such as ibuprofen have been associated with an increased risk of heart attack and stroke by 18 percent. Diclofenac is one of the drugs of this type of non-steroidal anti-inflammatory drugs (NSAIDs) with chemical formula 2 – (2,6-dichloranilino) phenylacetic acid. 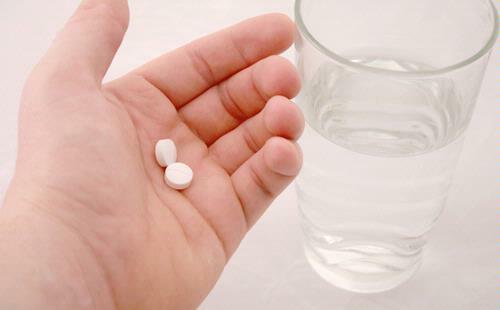 Type of NSAID medicines are often used for rheumatism, lumbago, gout, headache and flu treatment. A small group of researchers from Hull York Medical School and the University of Toronto, Canada, has studied and compared the effects of the use of painkillers on the low and high doses (for a more severe complaints). Experimental drugs that are quite diverse, ranging from the type used in hospitals, prescription drugs, drug-common painkillers such as ibuprofen and naproxen found. Results showed, using lower doses of diclofenac (to treat postoperative pain), berkaitkan with 22 percent higher risk of heart problems. Meanwhile, in larger doses, the ability of patients with heart disease or stroke increased by 98 percent. On the other NSAIDs such as ibuprofen, the use of drugs in accordance with the recommendation no negative effect on patients. However, in people who consume large doses may increase cardiovascular risk by 78 percent. “When choosing a type of the existing NSAIDs, patients and physicians should pay attention to the balance between benefit and harm that could be made in the use of these drugs,” said a principal investigator, Dr. Patricia McGettigan. According to McGettigan, painkillers naproxen and ibuprofen are the safest for the heart, as long as it is used in low doses. Meanwhile Doireann Maddock, a senior nurse at the British Heart Foundation heart said the use of painkillers is very risky, especially in people with cardiovascular disease. “It has been known since the old and the new findings should not be forgotten. But scientists and drug experts need to dig deeper to reach conclusions about the effects of these drugs,” he said.